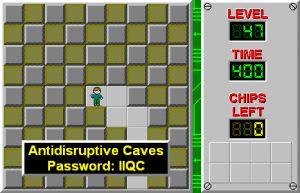 Antidisruptive Caves - The Chip's Challenge Wiki - The Chip's Challenge Database that anyone can edit! Leave everything in these caves EXACTLY as you found it, alright Chip? Antidisruptive Caves is the 47th level in Chip's Challenge Level Pack 4. It was created by Jeffrey Bardon. As the level hint alludes, any brown buttons you uncover on your way toward the exit must be covered by blocks as you originally found them so you can pass through the traps blocking the next section. 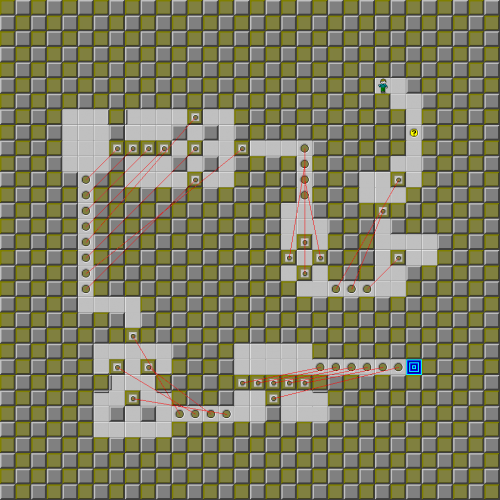 There are five sokoban puzzles to solve in this level.